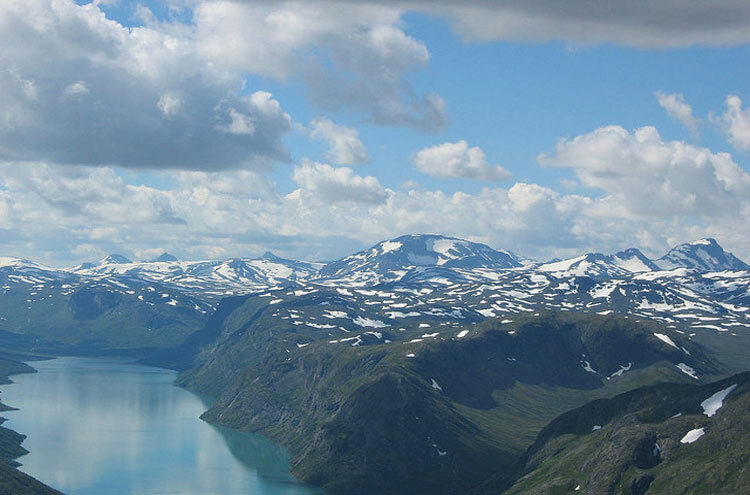 Enjoy the stunning mountain scenery of Jotunheimen, with dazzling green lakes, impressive glaciers, and the highest peaks in Norway. 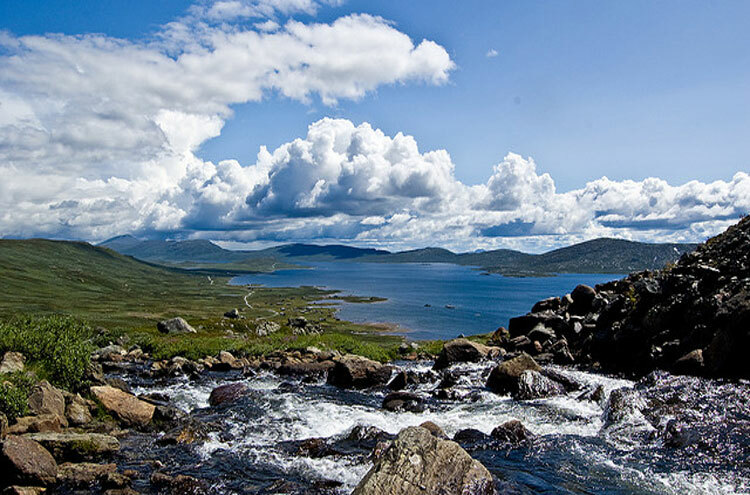 The 'Home of the Giants' offers endless walks in totally unspoilt mountains, making it the most popular hiking destination in the country for Norwegians and foreigners alike. Make good use of the excellent huts run by the Norwegian Hiking Association (DNT), so you do not need to carry tents or food. The walks can be remote and tough: come prepared. Vast, ice-carved, landscapes stretch out over more than three thousand square kilometres: a fitting setting for the giants of Norse mythology. 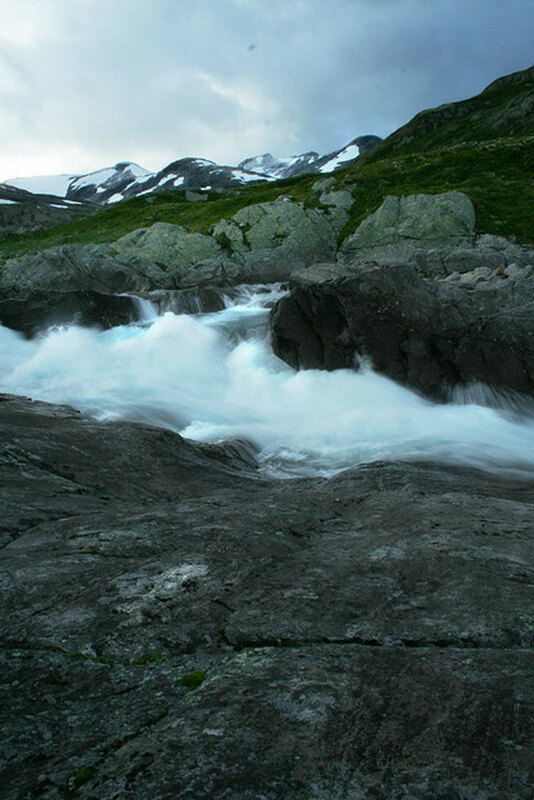 Post-enlightenment, the desire for discovery led to the exploration of these mountains, and they came to encapsulate Norway's late-nineteenth century wave of romantic-nationalism. 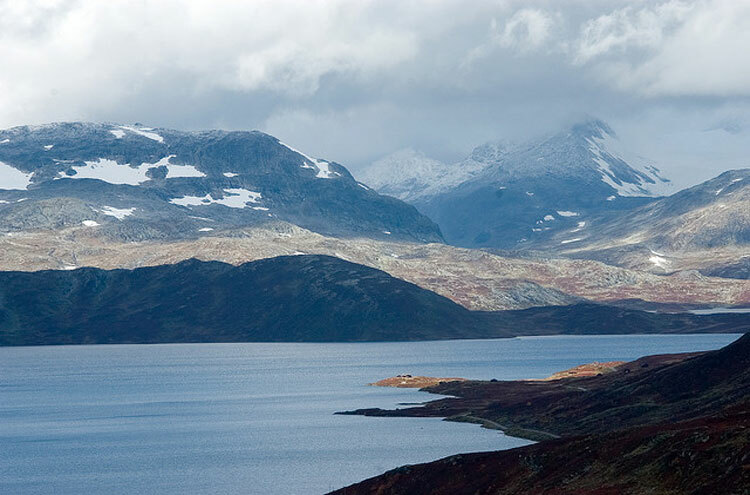 It is easy to understand Jotunheimen's ability to capture the Scandinavian imagination through the ages; the grandeur and sheer scale of this area is breathtaking. 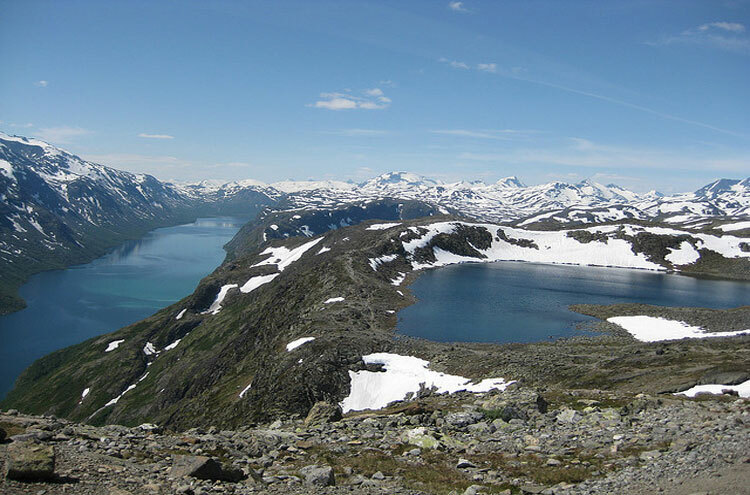 Twenty-six of Norway's highest mountains lie within the Jotunheimen mountain range, including its tallest, Galdhopingen (2,469m). 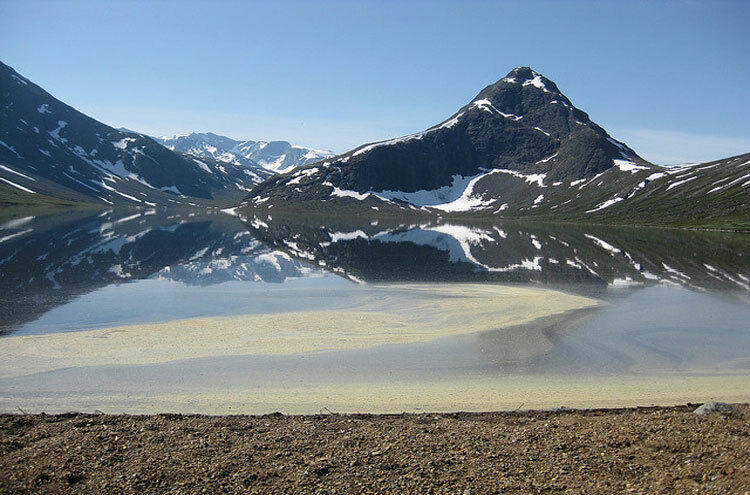 This is the highest concentration of mountains above 2,000m in northern Europe, and the surroundings are totally unspoilt; sharp peaks and impressive glaciers provide a grand background for the intense green rivers and vivid blue lakes, icy cold from snowmelt. 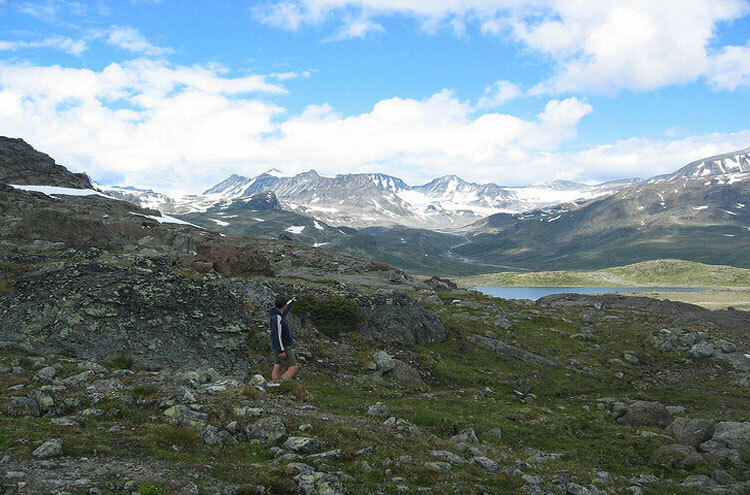 Now Jotunheimen tends to be busy with visitors, especially in the summer months. This does mean that solitude is hard to find, but the area's popularity holds distinct advantages for hikers. 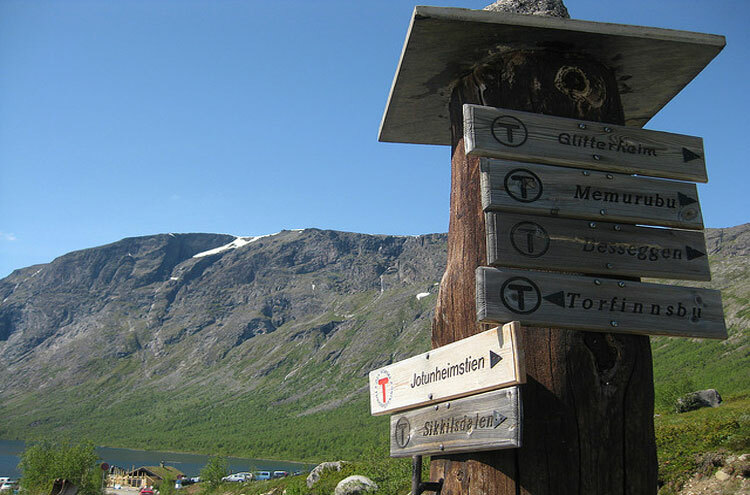 The Norwegian Mountain Touring Association clearly waymarks the hundreds of trails that criss-cross the region - look out for a red T painted on rocks for route confirmation. Also, they run mountain huts ranging from large to small, from overnighters to pit-stops with only the facilities for making a cuppa. Plan around these carefully, and you can negate the need for hauling heavy tents or food around with you. Although during the summer temperatures can reach beyond twenty five degrees, the weather here can change rapidly. 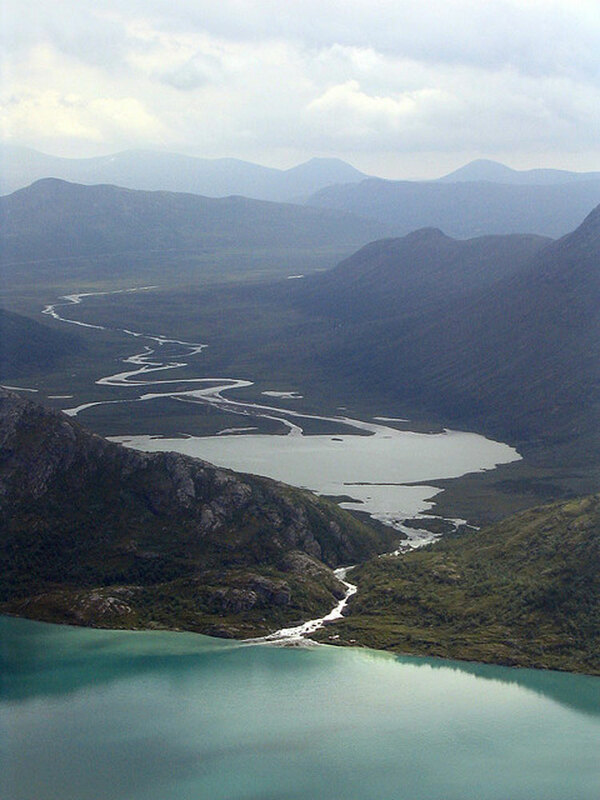 During winter, snowfall is heavy and blankets much of the range, lasting well into July above 1,400m, and often creating wild, swollen rivers in the mid-summer months. 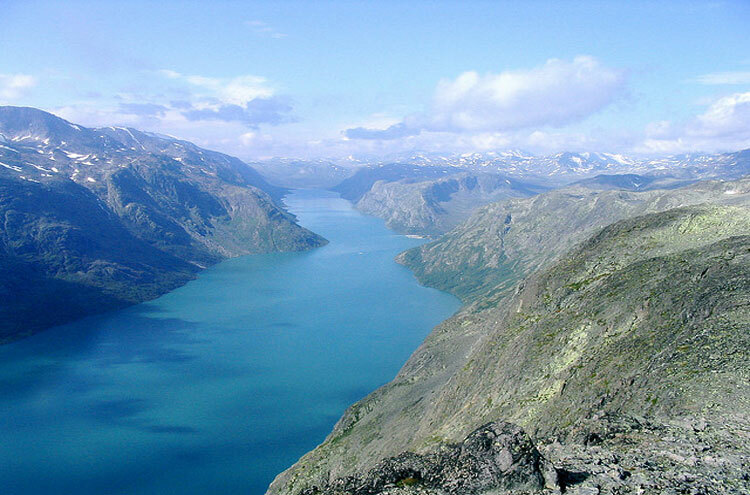 Start from either end (Gjendesheim, or the Memurubu Mountain Lodge, accessible by boat), and follow the ridge, rising to 1,743m, between emerald Lake Gjende, and Lake Bessvatnet (1,373m) to the north. Easier going, flatter, with information boards aplenty. The Culture Trail takes you through the heart of a region with comparable annual rainfall to the Sahara desert, yet cultivated for millennia. Ancient irrigation channels, now empty, fed the land, and the walk actually begins in one of these man made ditches, bypassing the small Flatatjonn Lake where a dam was once built to collect meltwater, and also the remains of a reindeer pitfall system. Begin from the car park above Aursjoen Lake, on the edge of Reinheimen National Park. 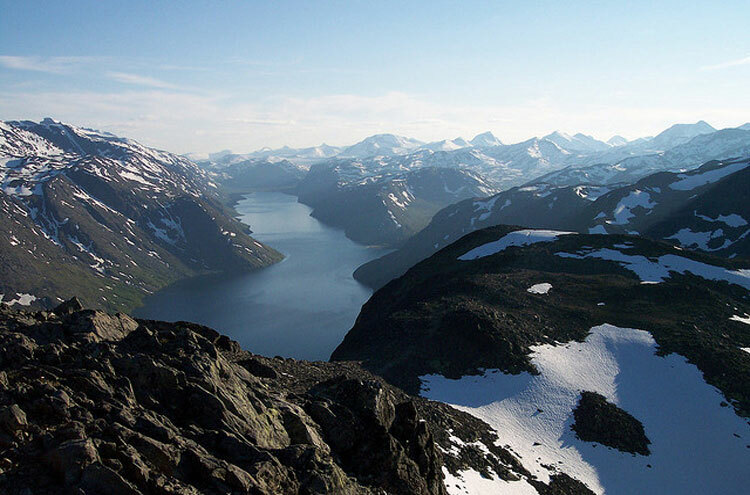 The tallest mountain in Norway is actually surprisingly accessible, and achievable independently (climb from Spiterstulen) or guided (via an initial glacier traverse beyond Juvasshytta Mountain Lodge). 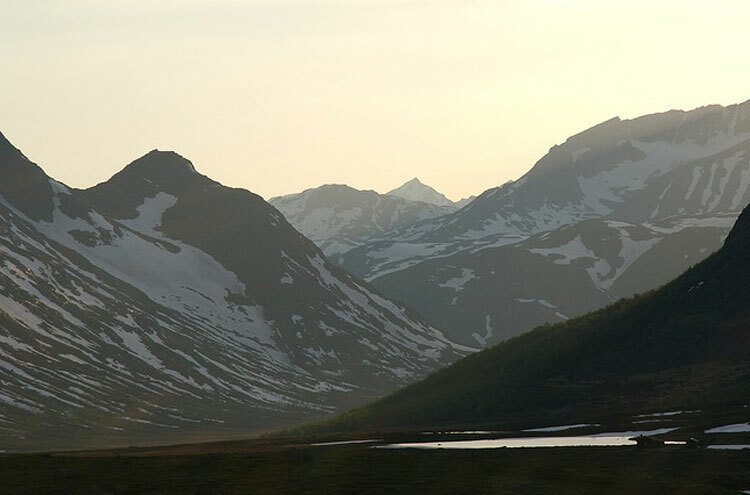 As you would expect, outstanding panoramas of Jotunheimen?s sprawling mountain-scape, plunging to dense, dark green forest. 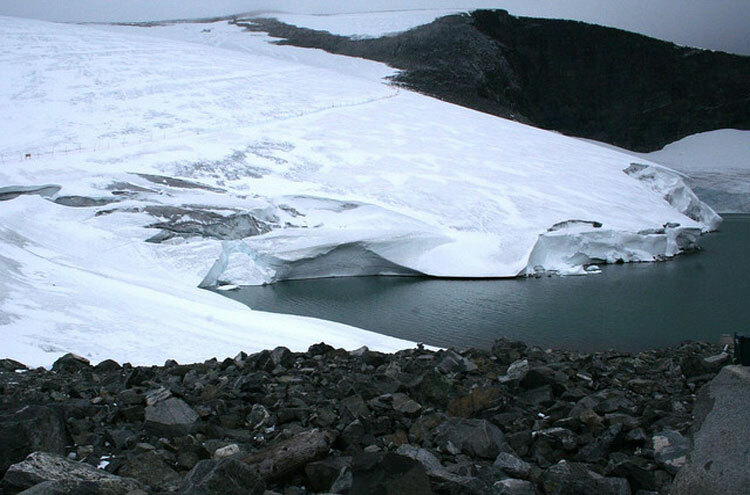 Multiple day trek beneath the towering Hurrungane massif and through goliath glacial landscape. Read more here. 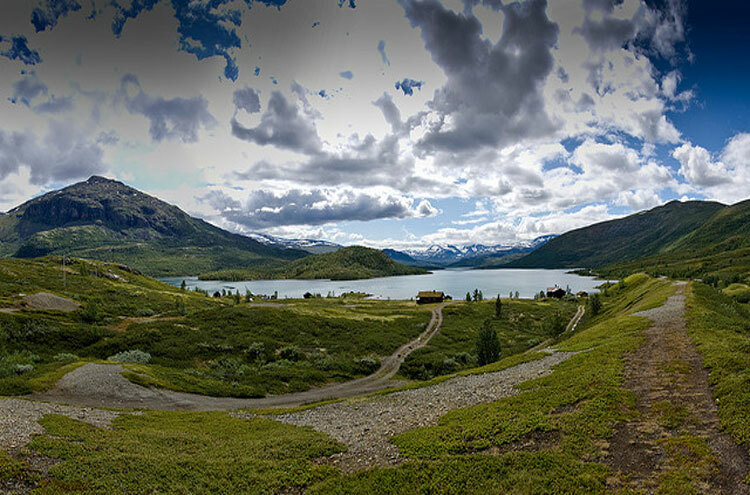 Begin and end on the Sognefjell road in western Jotunheimen. These can be configured to any fitness level, experience level, group-size and time-scale. 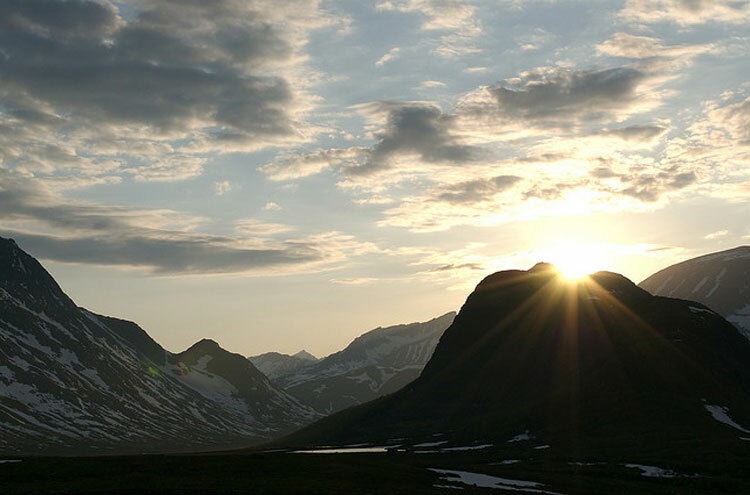 Just organize with any of Norway's many outdoor activity companies.